Calm and cool… That’s something you should know about Seven Lions… This guy is for sure someone you would want to chill, rage with, and for sure hit up a music festival or two! Literally seconds before he took The Mythical Frames Seven Lions took the time to chat with us about what a journey 2015 has been. 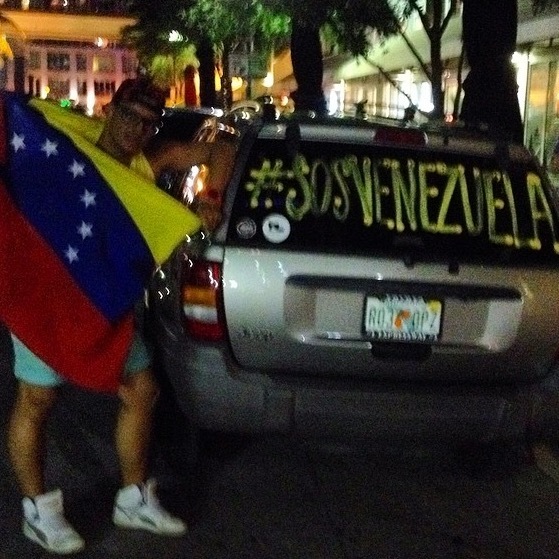 We joked about, you know what kind of set he sill present at TomorrowWorld. We also talked about what we should be expecting for the rest of the year and the money-shot question… How he would describe TomorrowWorld to all that couldn’t make it. Check out our time with Seven Lions!!! Oh my gooooooooddddd!!! We’re officially only 25 days, 24 if you’re camping (which we’re not), from one of the best weekends of 2015!!! 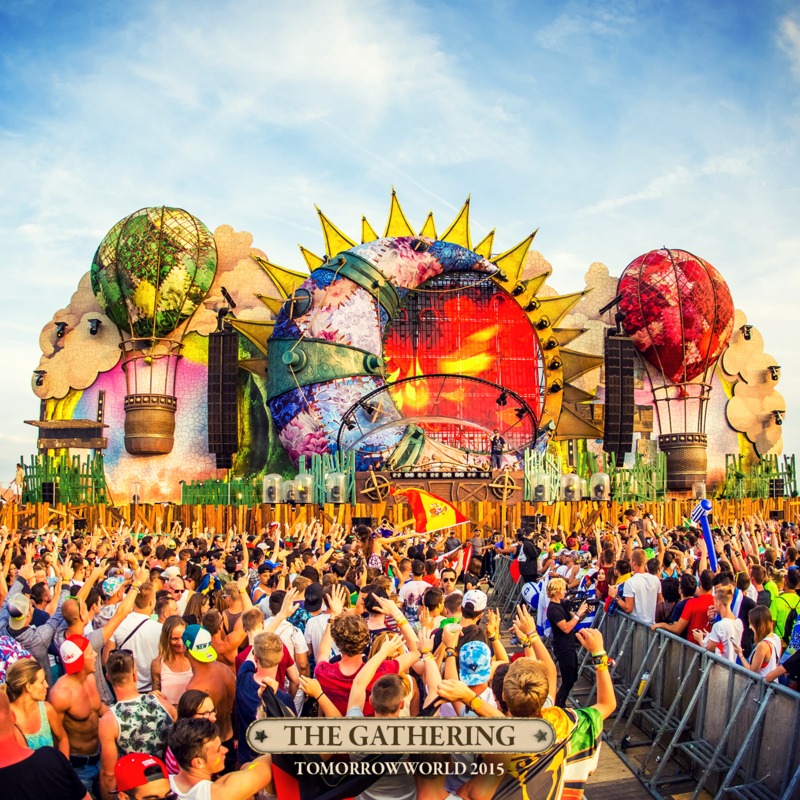 TomororwWorld 2015 is just around the corner and we’ve been wondering what the magical grounds will look like. Well, the wait is almost over. Today our TW friends dropped some pix of what the stages will look like, which to be honest from our experience, they’re so much more incredible in person. 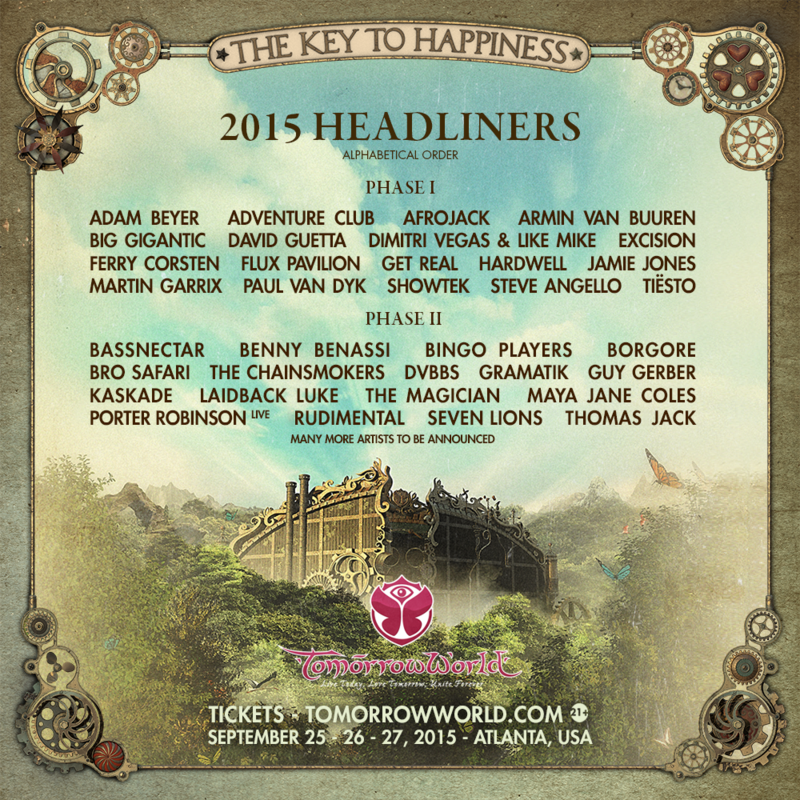 Check out the 9 Stages and the official 2015 trailer. Let the magic begin friends! Back this year, the Mythical Frames stage offer higher VIP viewing areas, a bar, and killer fireworks! 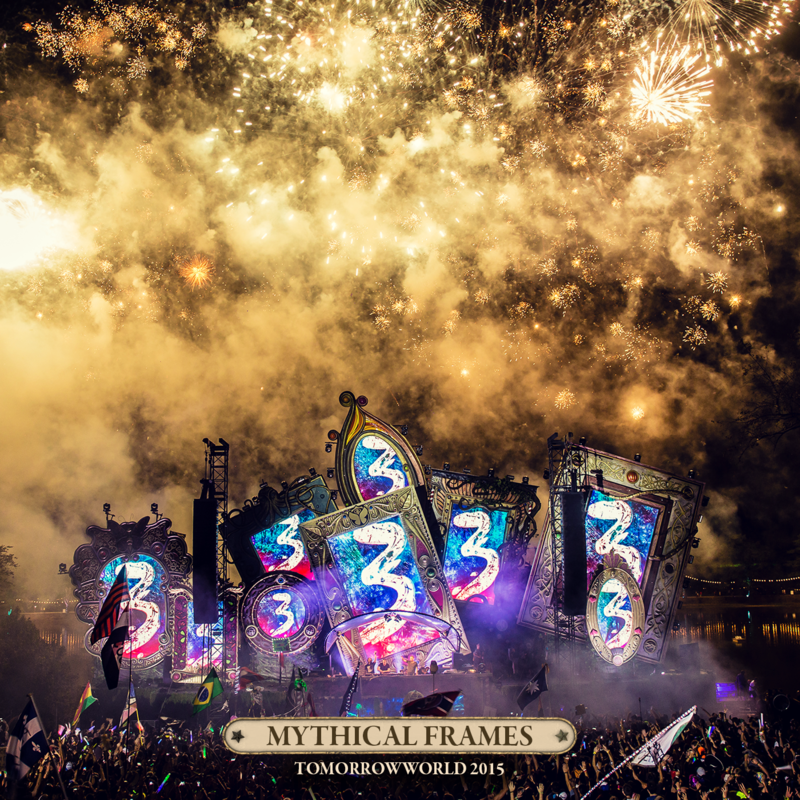 The frames thump to the beats of each DJ and create a world TomorrowWorld is known for! 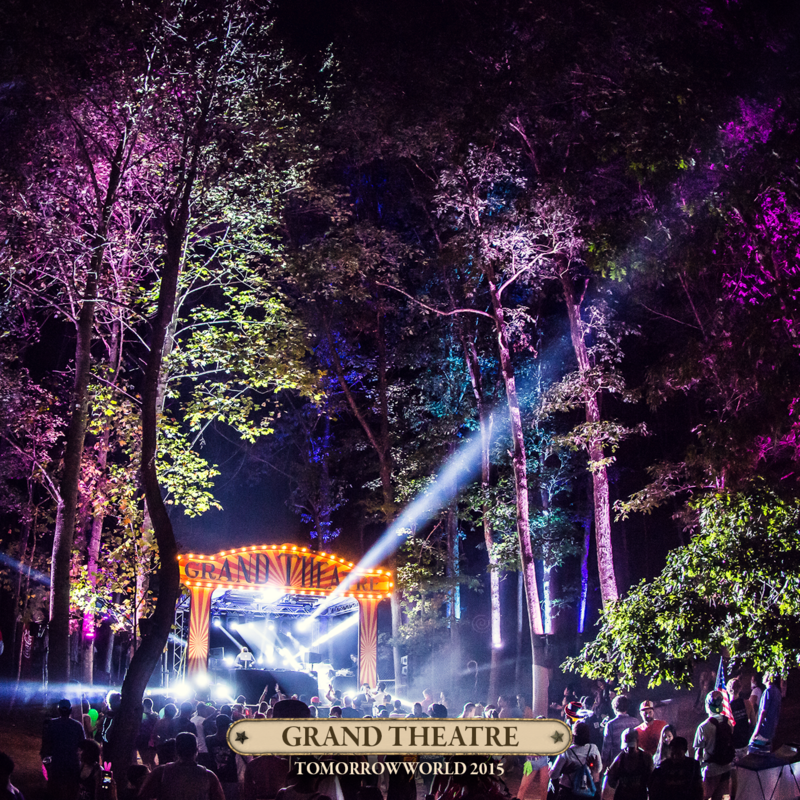 In the heart of the Chattahoochee Hills, Georgia... TomororwWorld creates a Forest like stage. This tent is perfect for getting straight into the dark side of electronic music in the middle of the day! 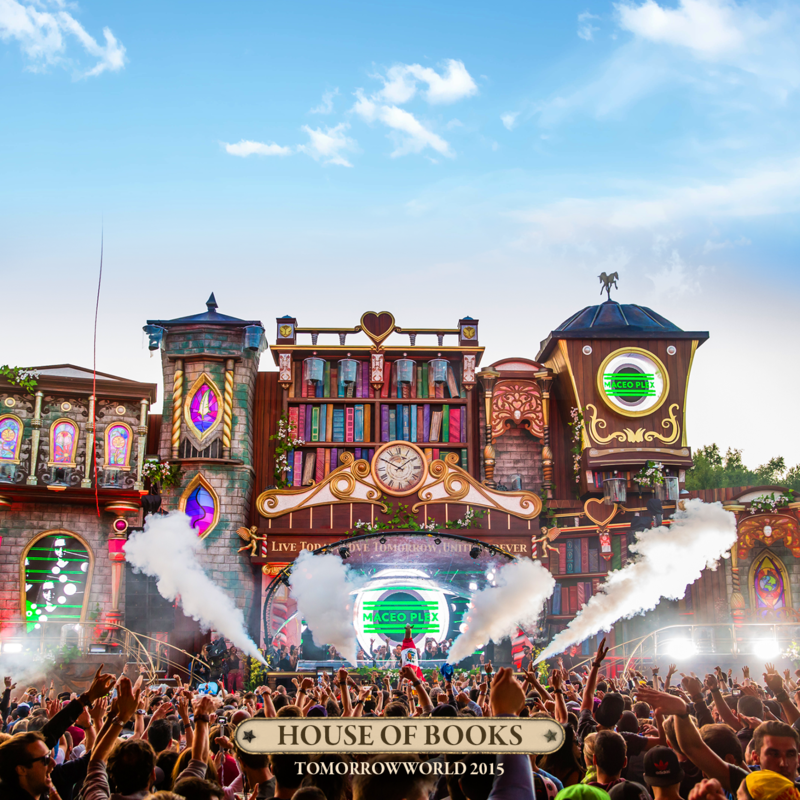 New to TomorrowWorld, the House of Books stage will bring alive the magical stories of TomorrowWorld and each DJ that hits its decks! We're for sure checking this one out! Literally a boat! Also new this year. Try not to get in the water... it's gross! The 2nd tent of TomorrowWorld. Huge and perfect to cool off during the hot day! One of our favorites. This stage maybe small, but the party is killer and it goes late!!! 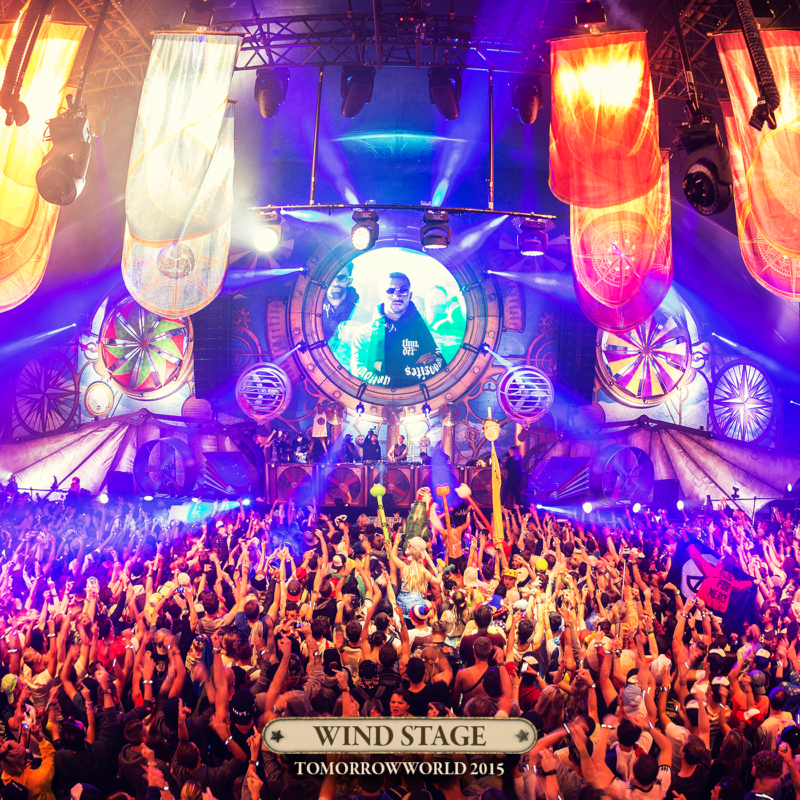 This stage kicks off the TomorrowWorld experience. The grounds open Thursday September 24th to all the campers. 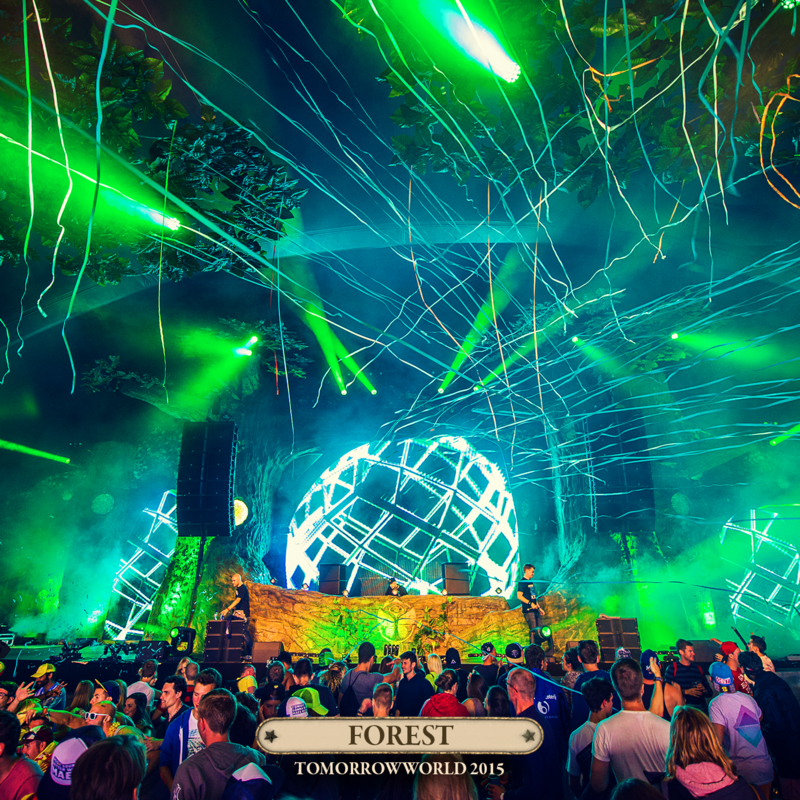 That night, TomorrowWorld offers a night that will set the tone for the rest of the weekend! The party will kick off in style, so if you're a camper, get ready for a good time! 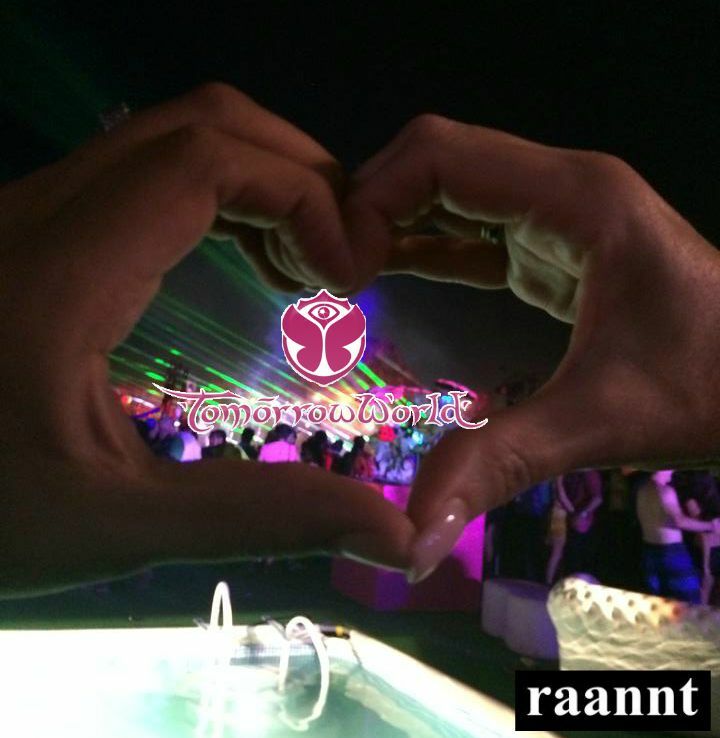 The TomorrowWorld Icon stage is set right in the heart of TomorroWorld. Changing every day into a different theme and genre of music. This stage offers the best photo-op for every single TomorrowWorld attendee! 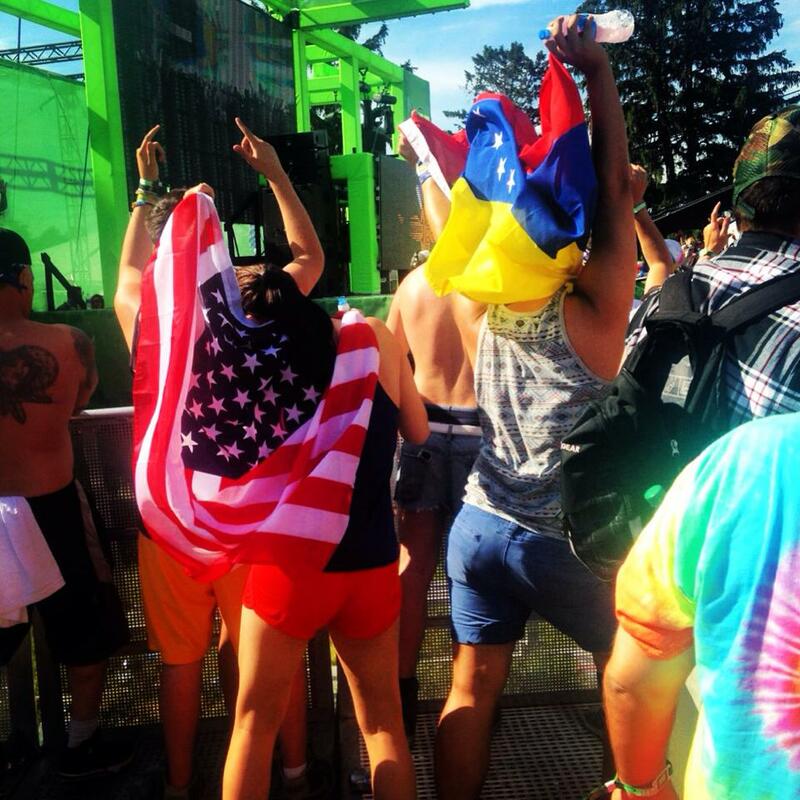 If you’re going out to TomorrowWorld, drop us a line, we would love to meet and rage with our readers! Still looking for tickets? Click here before they run out! Pre-Order ‘Collateral’ on iTunes from July 10th and receive ‘Hey Ricky’ in advance of release date. FINALLY!!! 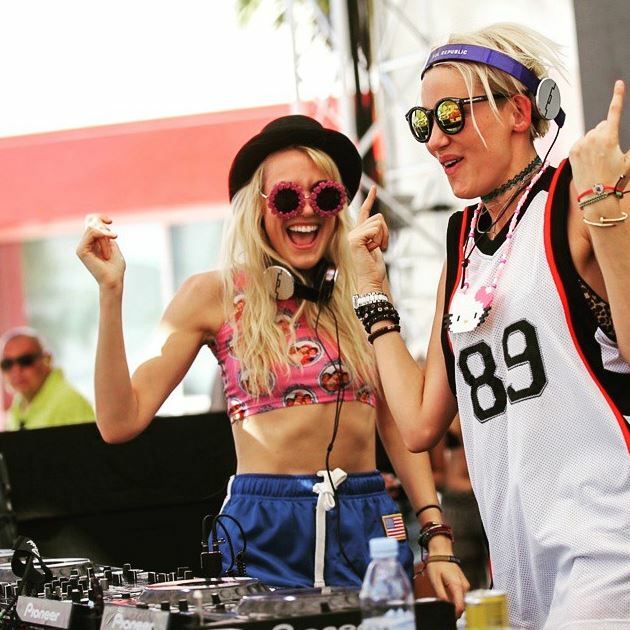 OMG we’ve been obsessed with Nervo since they enter the electronic music scene! And no, we’re not going to pull that music snob thing where we say “we knew them before they were cool”… They’re still cool and we’re still obsessed! The Australian sisters have created a list of 15 tracks that pull some pretty killer collabs, not to mention the fact that thus far the singles are all great. Their upbeat energy has landed them on the stages of the worlds’ best music festivals, sexiest club residencies and, duh, our music lists (on repeat)!. 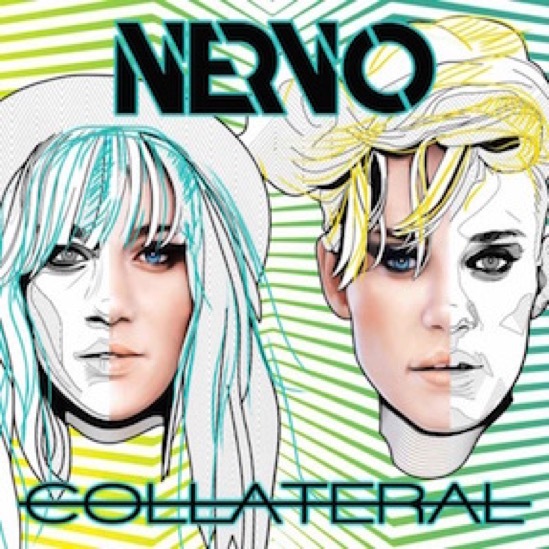 Don’t forget to pre-order ‘Collateral’ on iTunes from July 10th and receive ‘Hey Ricky’ in advance of release date. TomorrowWorld drops Phase II lineup of headliners featuring heavy hitters like Kaskade, Bassnectar, Bingo Players, and more. 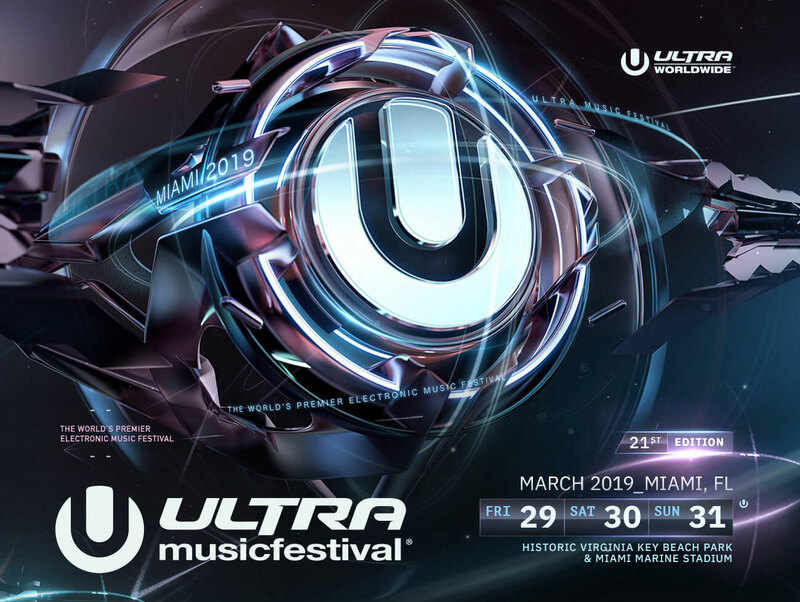 The phase II of headliner also include iconic artists like Benny Benassi and Laidback Luke, party dudes, The Chainsmokers and DVBBS, underground masters, Guy Gerber and Maya Jane Coles, and live performances by Porter Robinson and Rudimental on the L!VE Stage. Remember! 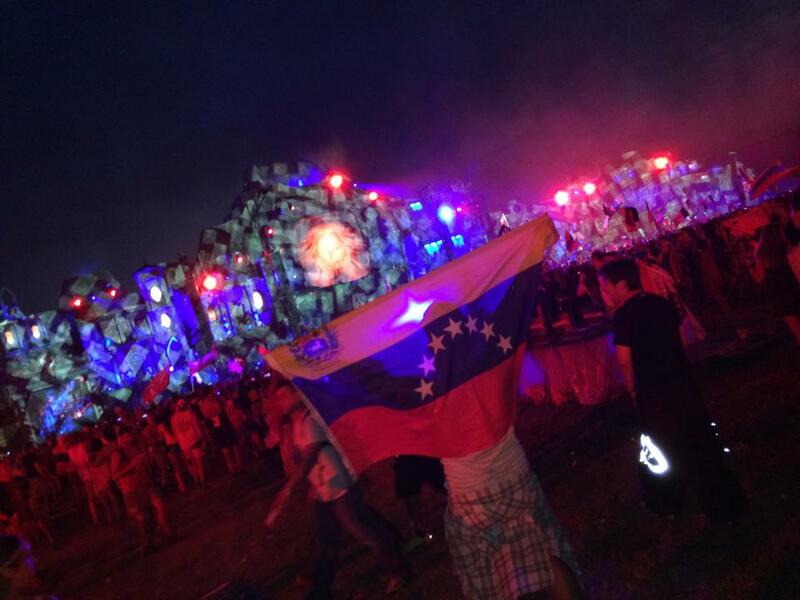 TomorrowWorld has more up it sleeve! The announcements aren’t over!!!! Our TomorrowWorld experience was incredible and this year it’s shaping up to be just as great! The musicians have hipped up the music festival season dropping hit after hit, and we can’t wait to witness them on the magical grounds of TomorrowWorld. 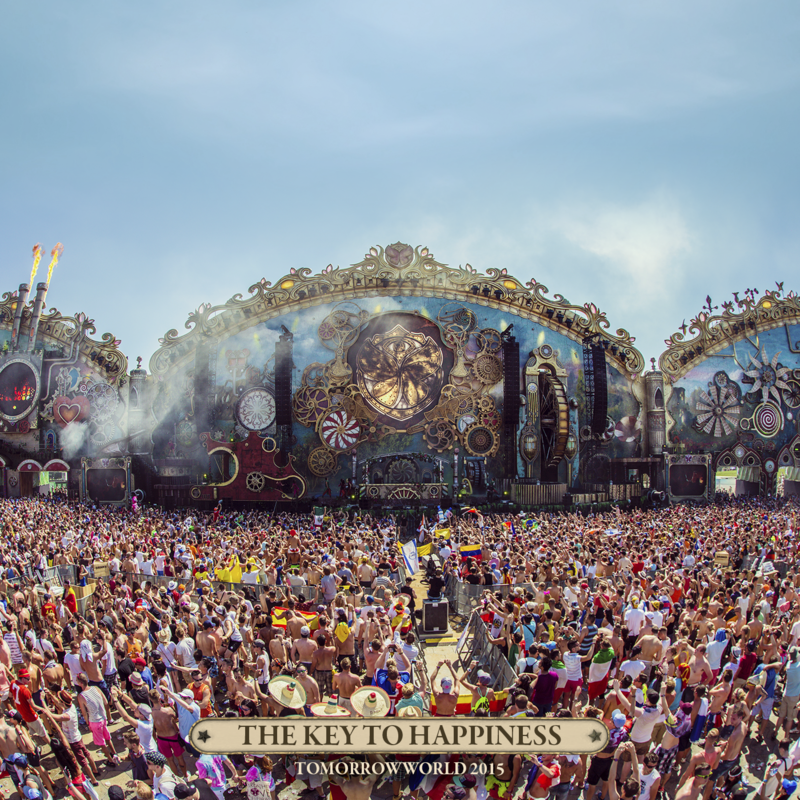 People of Tomorrow, get your butts ready, because the 3rd chapter of TomororwWorld, will blow your mind!!!! In the mist of music festival season, we, electronic music lovers, find ourselves connecting with people from all over the world. 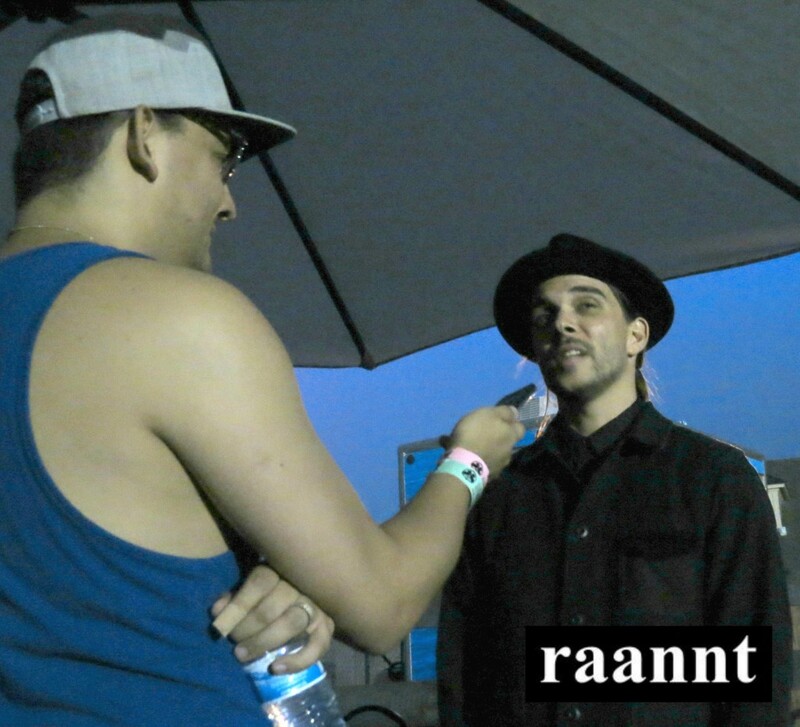 Making new friends that love what we love, creating ever lasting friendships that DJ/Producers write songs about. Arno Cost drops a new track that makes us think of these experiences. Like the time when you make new friends at a festival, you connect over the music, you link instagrams accounts and start following each other on snapchat. 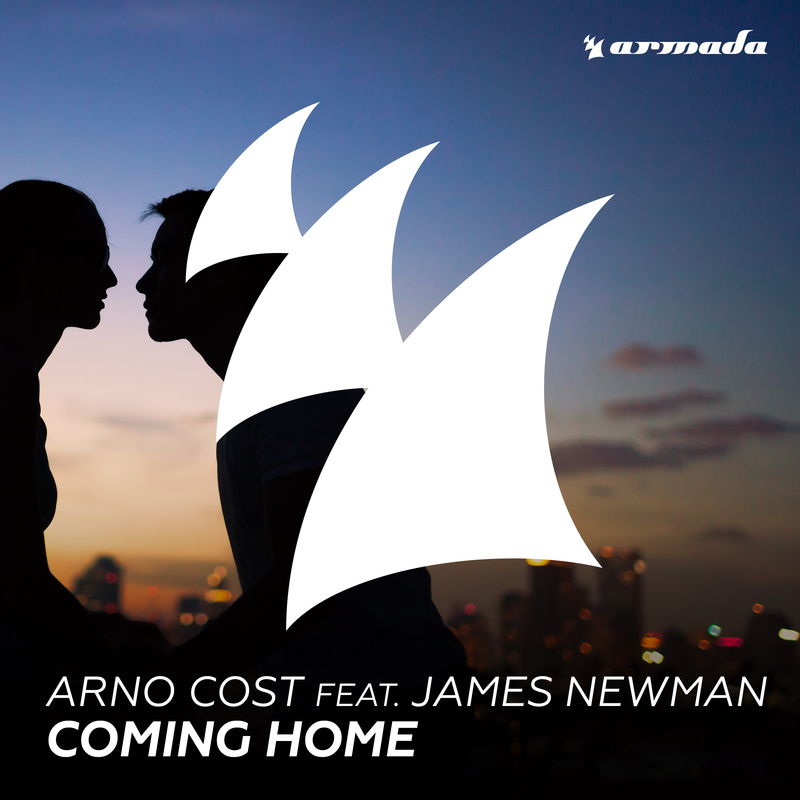 Arno Cost releases ‘Coming Home’ with Armada Music, such a perfect match for this track. The energetic beats set the mood, making it the ideal track for arriving to your party destination! 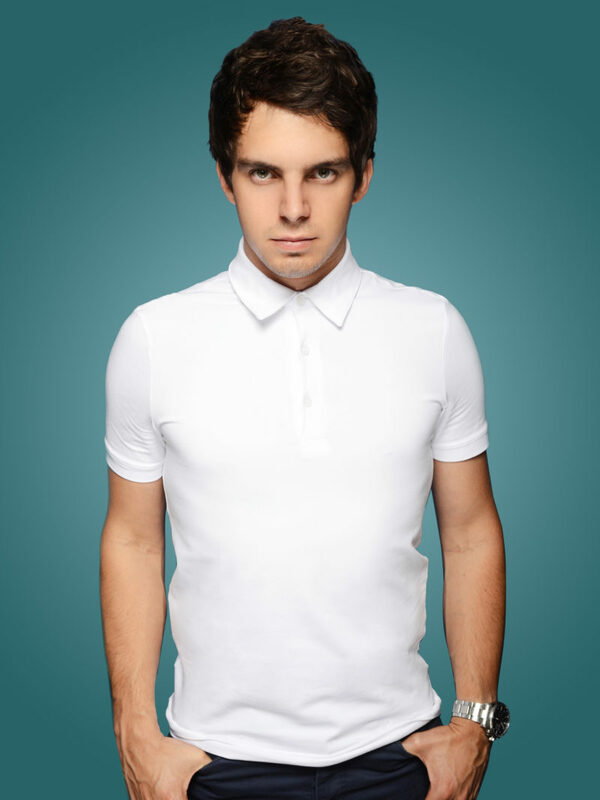 James Newman provides the vocals that uplift the energy while the emotion of the bass thumps through you body. All in all this track, for us and hopefully for you, warps the emotional high a music festival provides. We may all have houses, but our favorite music festival… is a home sweet home! Check out the track below and don’t forget to buy it here. Tell us what you think on Facebook & Twitter!!!!! 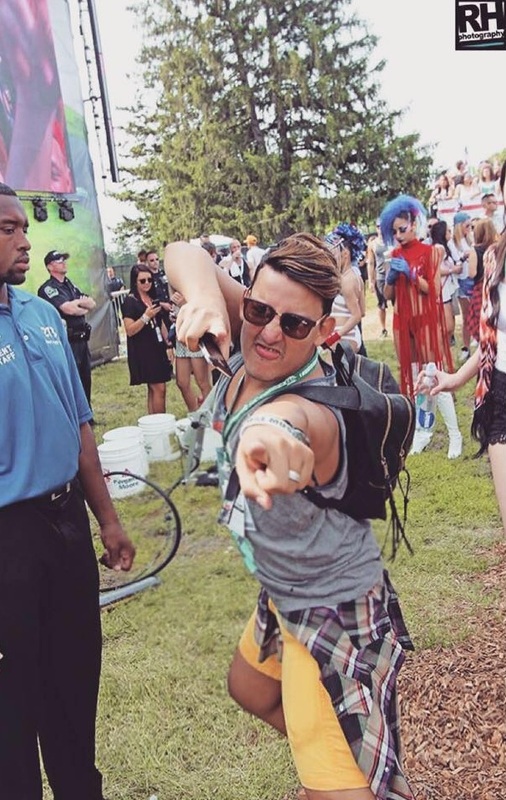 10 Spring Awakening Music Festival Suggestions For A Killer Weekend! Spring Awakening Music Festival is only 10 days away and in honor of that… we have 10 Spring Awakening Music Festival suggestions for your killer weekend! You MUST check out every stage! The best part of music festivals are the stages! 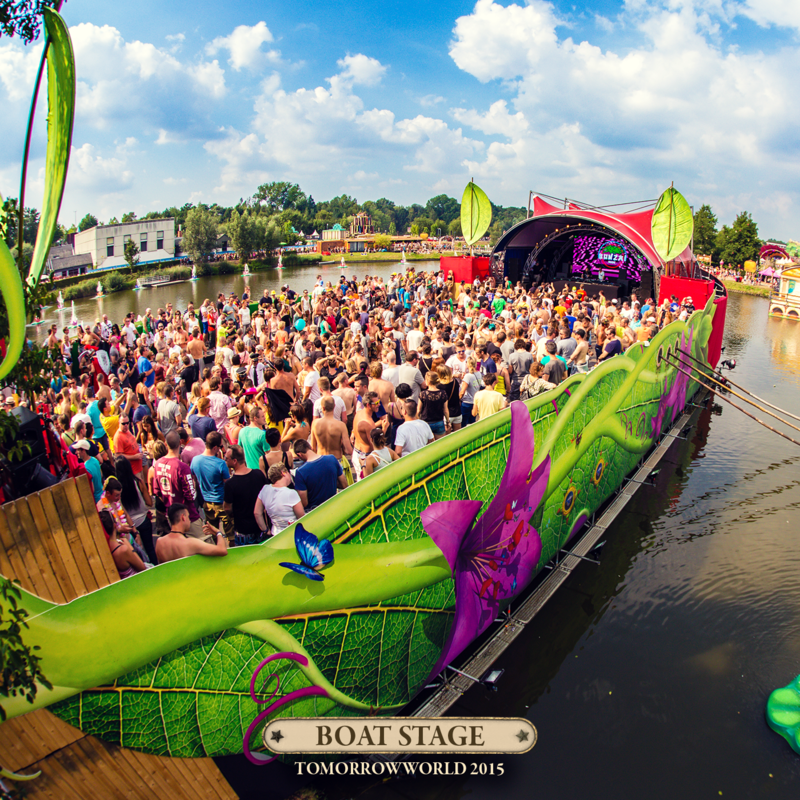 Each stage represents the crowd, the music, the vibe and whatever fills your musical love tank! 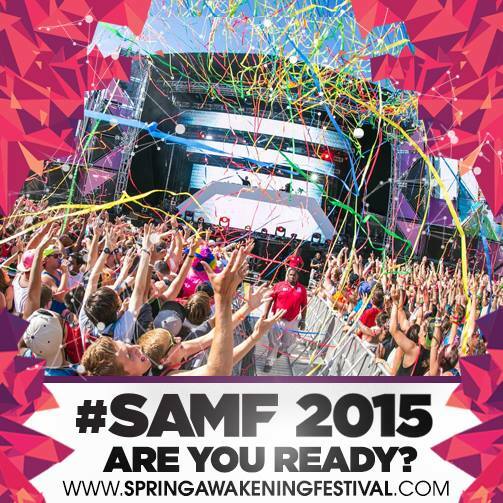 Study the SAMF schedule and sync your top pics with your crew! There's nothing worst then missing a show by someone you've always wanted to see. 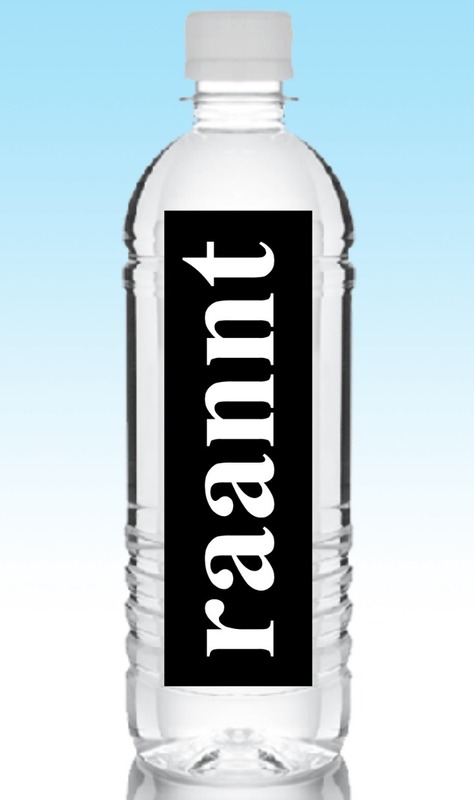 HYDRATE! it's hot in Chicago and you'll be outside the whole time... don't be the person that needs to hit up the first aid area because you're not taking care of yourself. Plus, you invested too much into your trip to let it be ruined by not drinking enough water... so drink your water! Grab an Uber to and from SAMF... 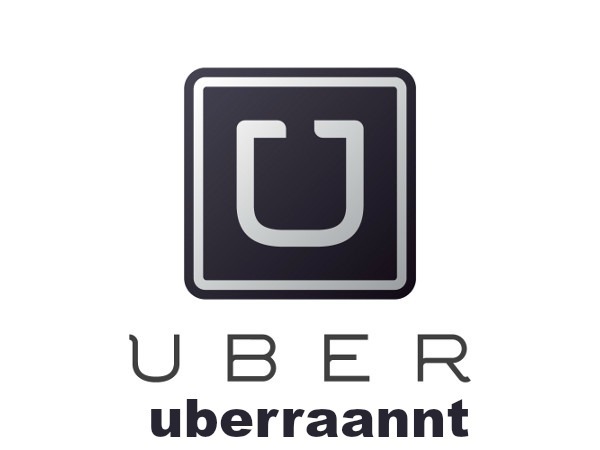 If you've never used uber, use UBERRAANNT for $20 off your first ride! Boom!!! Charge your phone and have a portable charger. We suggest the RAVpower. 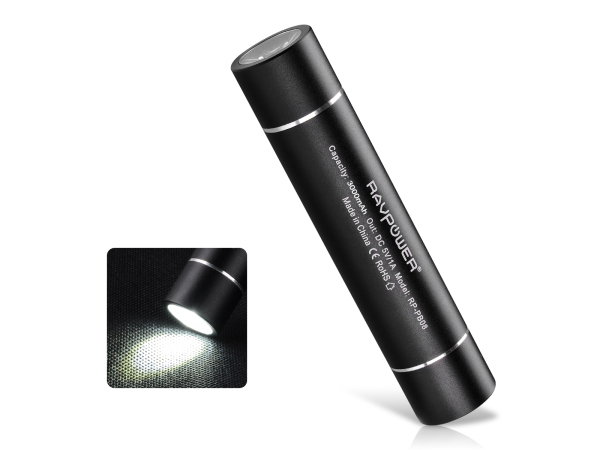 It's cool looking, it comes in a bunch of different colors and it has a LED flashlight that can help you find your way! SAVE UP YOUR ENERGY! Chicago is known to party like crazy and the lineup of after parties is shaping up to be unreal! Check springawakeningfestival.com for more info and details! First of all, think about what you're going to wear. You want to be comfortable, though, hopefully, you'll be taking a lot of pix... so try to look cute. When it comes to accessorizing, not too much. You don't want tan lines and also you don't want to be carrying a bunch of stuff. Grab your favorite pair of sunglasses, bag to carry your wallet, water, phone, phone-charger, flag and call it a day!!! Rep your country with pride! Bring your flags and wave them high and mighty! Music festivals feel like world peace, so be part of it!! Shoes! 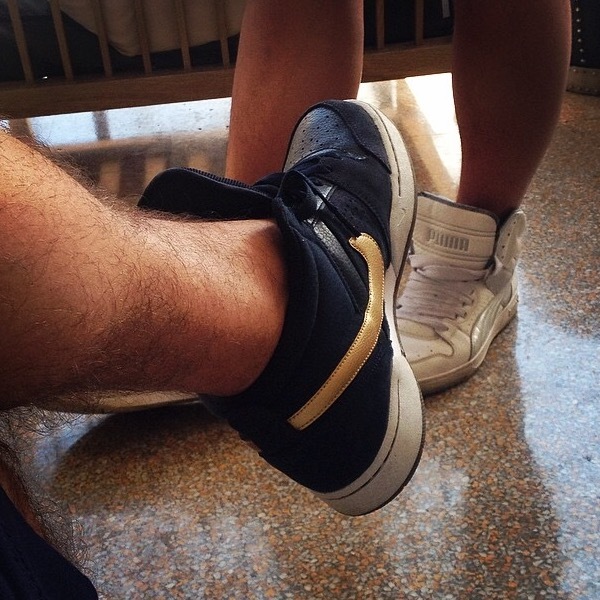 wear comfortable shoes! You're going to be on your feet and be walking a lot! So treat your feet like gold. If you're tired, rest up... if you need to sit, sit. But if you can't, rely on your comfortable... but cute... shoes! Last, but for sure very important, take as many pix as you can! Grab your crew, make new friends, killer light shows, fireworks, selfies... record it all! there's nothing better than waking up the next morning and looking back at the unreal memories you'll make at SAMF! PS: Don’t for get to have as much fun as you can… After all, these are the best years of our lives! Please follow us for up to the minute info! ‘Open Air NY’ Dance Music Event Series! 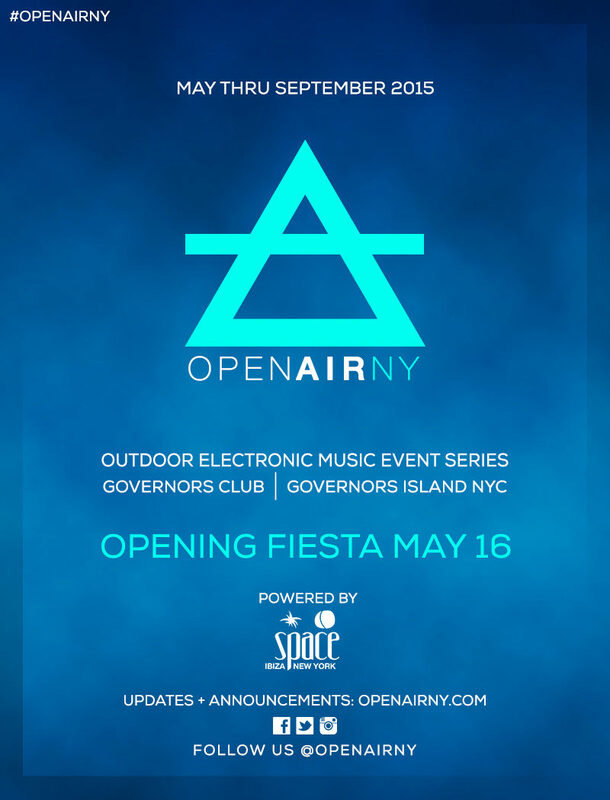 Starting May 16th Governors Club on New York City’s Governors Island will be hosting the ‘Open Air NY’ music event series! So hop your pretty little butts on the ferry out of the concrete summer heat and enjoy the ‘Open Air NY’ while raging to some of the sexiest electronic beats! The party starts May 16th and will run well through September. The summer series will be powered by Space Ibiza New York and operated by the Lure Group! Excited for a good time? Ready for a killer summer? Get your tix here: http://www.openairny.com/! And hurry! because tickets are going fast!!!! 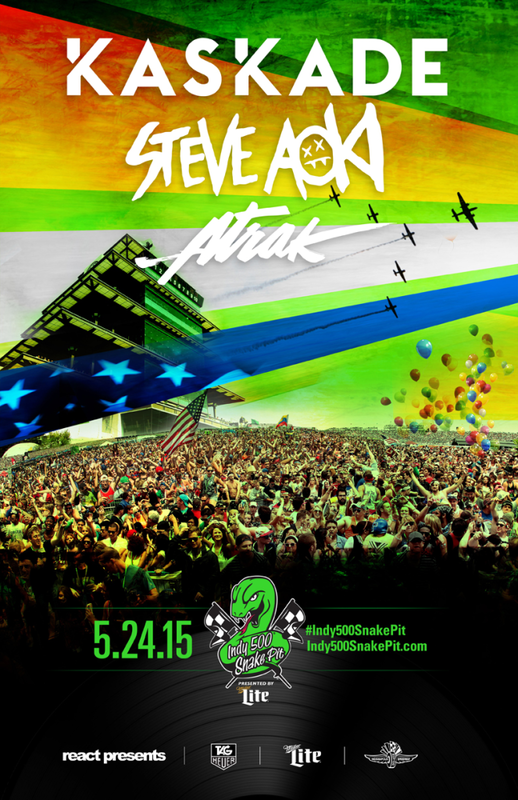 The Indy 500 2015 Snake Pit With Kaskade, Steve Aoki & A-trak! As beloved fans of EDM, we can’t wait to reunite our bodies to the beats of Kaskade, Steve Aoki & finally catch A-Track live. 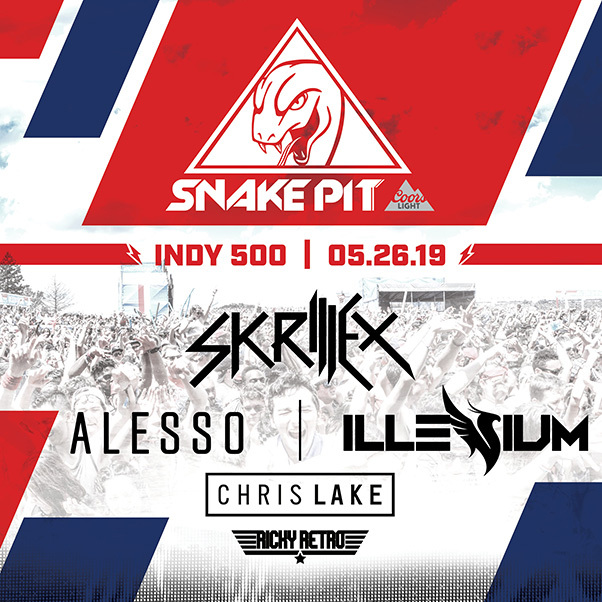 Over the last couple of years the Indy 500 SnakePit has brought us an incredible line up of DJs, from Afrojack to Benny Benassi to Diplo and now Kaskade, Steve Aoki & A-track. 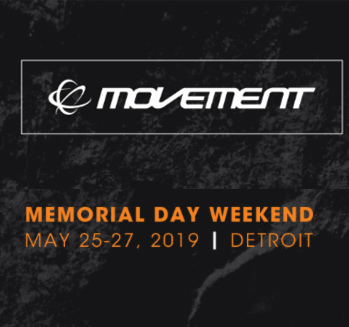 It is pretty clear that we, and hundreds of other EDM fans, will be buring like wild fire the grounds of the Indianapolis Motor speed way – specifically round 3 – to the production and incredible music of these DJs. So get ready! Pack your water bottles (It’s a hot day and long day, so remember to hydrate), comfortable (but cute) shoes, SPF (because nobody likes a farmers tan) and your favorite people (because this party is way more fun with friends). Tickets are still available here & get them in advance because waiting in line is not cute! 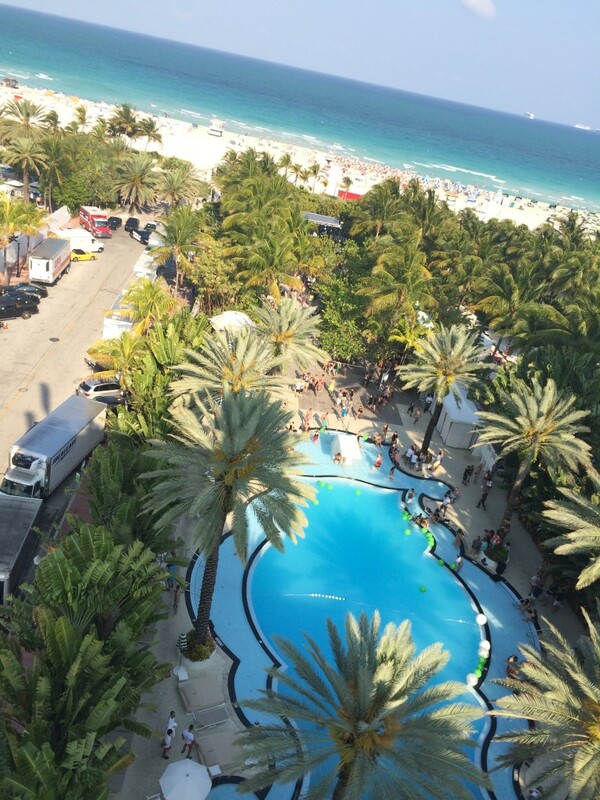 The Raleigh Hotel South Beach is the iconic home for incredible parties during Miami Music Week. The lobby exudes sexiness, the pool is pure perfection and the ocean view rooms are hard to leave! At an intimate event hosted at the Raleigh’s penthouse we were able to play catch up with one of raannt’s friends… DJ/Producer MAK J! This stud has a crazy couple of days, followed by a positively hectic few months! New tracks will be drops and by his own label! 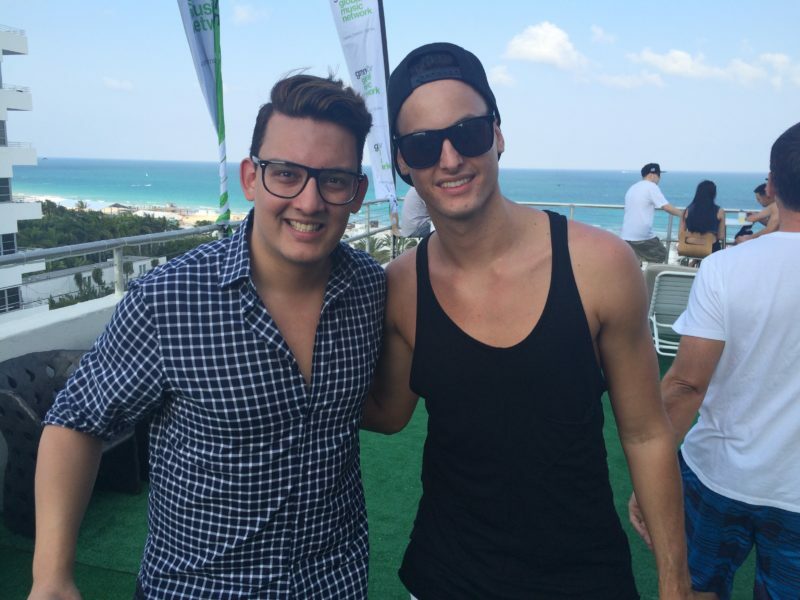 Check out what surprises MAK J has in store for us and what we all should expect for the rest of this Miami experience! Reboot Presents Noon Showcase Feat. 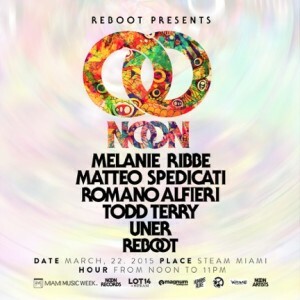 Reboot, Uner, Todd Terry, Romano Alfieri, Matteo Spedicati & Melanie Ribbe. Deeperfect Showcase feat. 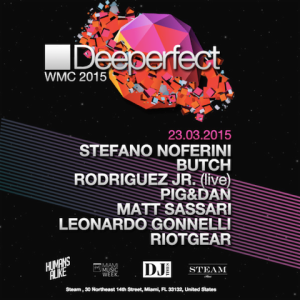 Stefano Noferini, Butch, Rodriguez Jr., Pig & Dan + More!! The 6th Annual BLU Party feat. 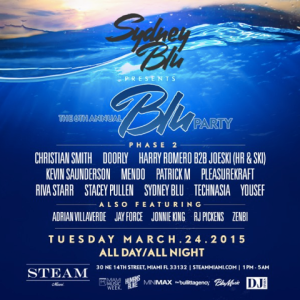 Sydney Blu, Pleaseurekraft, Kevin Saunderson, Christian Smith, Doorly + More! 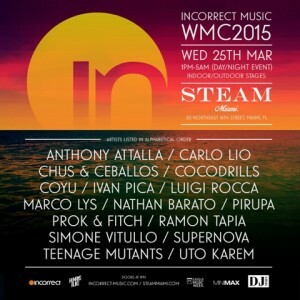 Incorrect Music WMC 2015 Showcase feat. Anthony Attalla, Carlo Lio, Chus & Ceballos, Coyu, Pork & Fitch + More!! 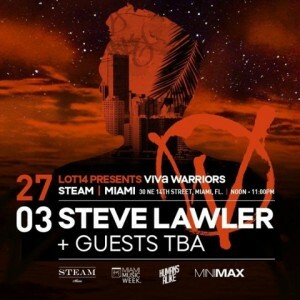 Lot14 Presents: Viva Warriors with Steve Lawler, Cassy, Dennis Ferrer, Robert Dietz + More!! 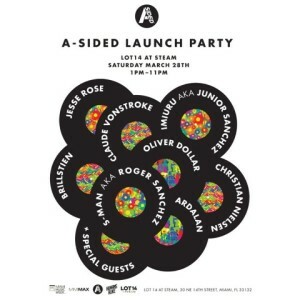 Lot14 Presents: A-sided records launch party feat. 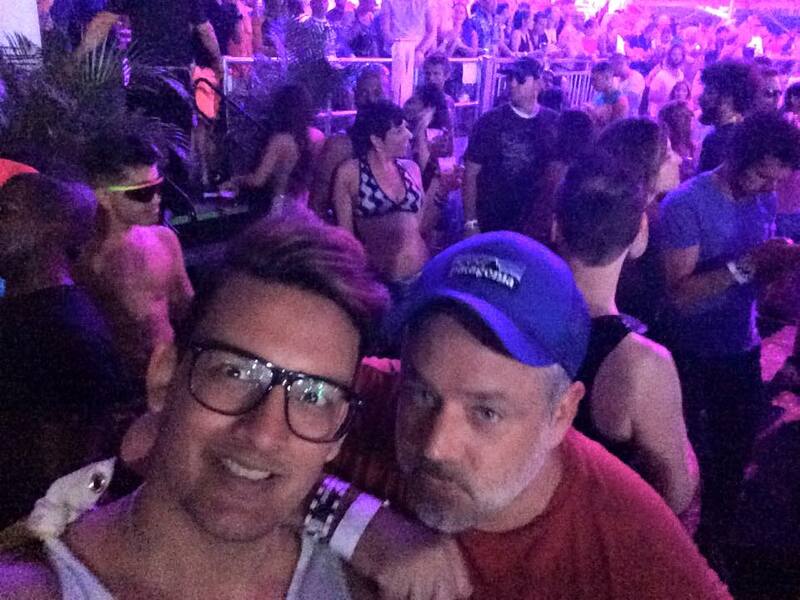 Jesse Rose, Claud Vonstroke, Roger Sanchez, Junior Sanchez + More!! 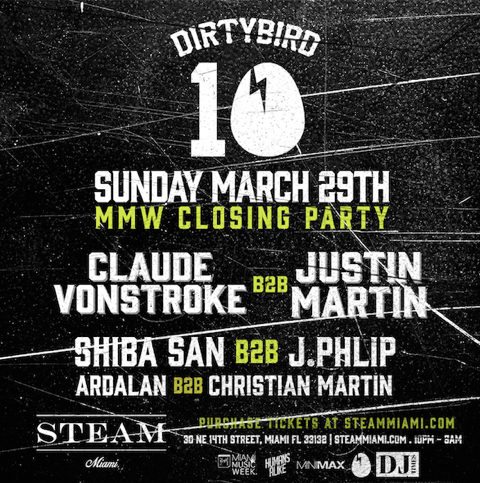 Steam Miani & Dirtybird Presents: MMW Closing Party feat. Claude Vonstroke, Justin Martin, J. Philip + More! These parties and lineups are unreal! 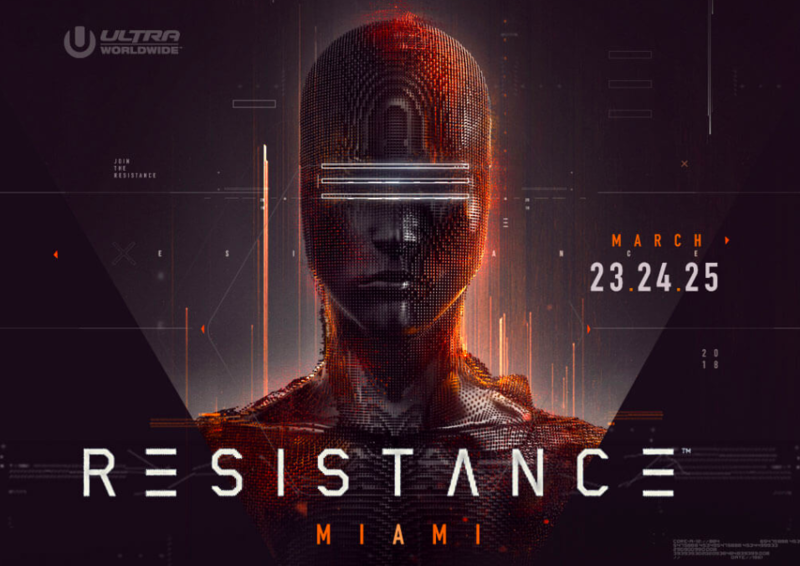 Kick off MMW with the Italian smoothness of Techno Hero by Stefano Moferini’s party followed by the returned of Canadian sensation Sydney Blu’s BLU Party on Tuesday, over the past 6 years this party has become a MUST! Personally Wednesday night is pure perfecection! Anthony Attalla is incredible, a solid mixture of deep-house and tech-house. Carlo Lio will for sure kill his show with his techno & house blends, and finally the Dirtybirds closing party will be the one to not miss!!!! Specially since Claude Vonstroke is doing a B2B set with Justin Martin. Click on each picture for more info on each event! We’re excited to say the least!